Qatar will host a brand new Ladies European Tour tournament from 2016 onwards. The Qatar Ladies Open will be much more than just a big golf tournament, empowering Qatari women and leaving a lasting legacy on the golf scene in the region. The full field event, which will take place from November 23-26 at Doha Golf Club, will be the third Ladies European Tour event in the Middle East, joining the Omega Dubai Ladies Masters and recently announced Fatima Bint Mubarak Ladies Open in Abu Dhabi. “It’s important to us to help to foster, promote and develop golf in the Middle East,” said LET CEO Ivan Khodabakhsh. “We want to show what a fresh and inspiring game golf is and encourage women in the region to consider it as part of a healthy, active and enjoyable lifestyle. Golf is becoming a sport that is well known in the region and we have seen lots of juniors on the fairways. 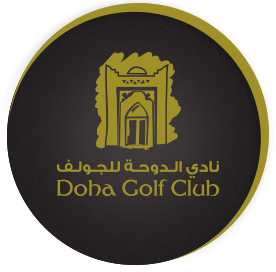 We also want to increase the number of women and girls who play and the new Qatar Ladies Open will be very important in terms of driving interest. Qatar has hosted some amazing sport events. Hosting a Lades European Tour event will add to the diversity of the country’s sporting portfolio."